Mike’s Custom Flooring supplies a number of services for commercial businesses and residential homes in Eastern Panhandle of Berkeley and Jefferson Counties in West Virginia and Frederick, Loudoun and Fairfax Counties in Virginia. We are fully licensed and insured to provide our professional services and expertise to the community. Our technicians are more than qualified to tackle any task associated with our services. We have advanced training, field experience and remarkable skills. Mike’s Custom Flooring exclusively utilizes high-end products, materials, and equipment available only to licensed professionals to ensure maximum results. Mike’s Custom Flooring includes hardwood floor water damage restoration on our menu, and we extend this service to commercial business owners and residential homeowners. As most people with hardwood floors know, water does not bode well with hardwood floors. Do the absorbent nature of wood, water seeps into the wood fibers and the damage begins, as it continues to fester, the water will expedite the deterioration process. If water floods your hardwood floor, the first step Mike’s Custom Flooring conducts is preserving the integrity of your hardwood floor. 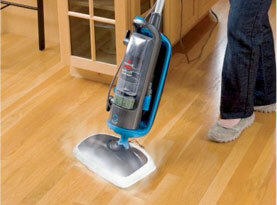 We have the experience handling the water damage with cleanup, repair and restoration. Water extraction is our immediate duty and we start by utilizing a special method and equipment for drying hardwood floors. If we can get to the water extraction quick enough, there is a good chance that your hardwood floor can be preserved with minimal damage and repairs. If water is left to fester, it can also breed mold among other things. 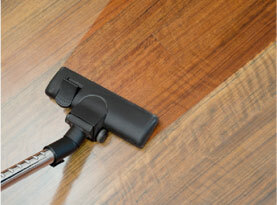 Water flood damage on hardwood floor can be detrimental if the water is left for too long. 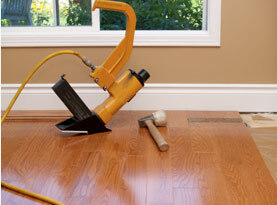 In the event, for example, the water was left for a weekend while you were out of town; Mike’s Custom Flooring still has the potential to perform a hardwood floor restoration service. We will replace any of the hardwood panels that are destroyed. If any hardwood panels have only sustained minor damage, then Mike’s Custom flooring experts will sand away the damage and refinish. Wood flooring professionals at Mike’s Custom Flooring are trained to assess the hardwood flooring for early warning signs of more serious water damage. We can perform the right techniques to rectify the situation no matter the severity. We will remove the moisture from the air to prevent further damage to the floor and the rest of the structure. After all the restoration is completed, Mike’s Custom Flooring will perform a final inspection on the hardwood floor to ensure nothing was missed in the cleanup and restoration process. 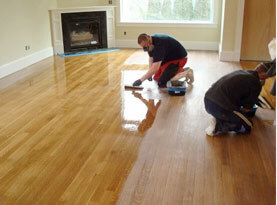 All work is done with precision and dedication to make certain your hardwood floor is fully restored. Call Mike’s Custom Flooring as soon as possible if your hardwood floor in Eastern Panhandle of Berkeley and Jefferson Counties in West Virginia and Frederick, Loudoun and Fairfax Counties in Virginia is in need of our expertise.